Maria is the co-author of the best-selling Clean & Lean diet books with trainer James Duigan. Maria and James have published four books and are currently working on their fifth book together. With the foreword written by Elle Macpherson, Maria & James’s first book published in May 2010 and has since sold over 120,000 copies. Maria & James's second book published in May 2011 and reached number 5 in the Amazon charts, over all topics, within days of its release. Celebrities including Hugh Grant, Elle Macpherson and Rosie Huntingdon Whiteley contributed their favourite recipes to Maria & James's third book, which published in January 2012. With recipes, exercises, lifestyle advice and exclusive tips from supermodel David Gandy, Maria & James's fourth book was aimed at men and published in January 2013. 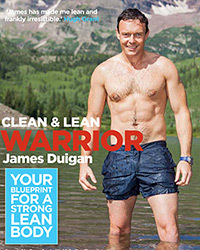 For more information on the Clean & Lean books, contact publicity manager Victoria Scales at Kyle Books at victoria.scales@kylebooks.com.